When faced with problems, people either use their problem solving mindset to analyze, or meditate to escape reality for a short time. However, the Greene’s Release Technique takes advantage of an alternative mindset that allows us to stay grounded in our physical reality, while neutralizing the underlying cause of problems. We already use this alternative mindset every time we step out of our analytical mind and dance, listen to music, paint, draw, compose musical tunes that make us feel alive, or write poetry and love stories. It is a free state of mind that opens the door to endless possibilities. As soon as you start feeling your experiences instead of thinking about them, this alternative mindset opens up before your eyes, making it possible to access and release the underlying cause of your problems. While our workbooks guide you through the entire release process, the following sections will help you open to experience this alternative mindset in preparation to release. You cannot use the Greene’s Release Technique to release the underlying cause of your emotional pain unless you are able to open and feel. We go about our days experiencing all manner of stimuli such as water on our bodies, the sunshine, our working environments, interactions with people, yet we rarely feel any of them. Many of us have shut down our natural ability to feel. We experienced it as babies, yet lost it along the way somehow. This combined with our self-protective instinct to avoid overwhelming pain by shutting down the ability to feel after a stressful event can leave people feeling numb. We really do want to dull our senses to stop feeling the pain. This is why you experience emotional extremes—only your heightened sensations from both extremes are breaking through your walls. Take your time with every activity so you feel each one completely, and gently awaken your feeling ability, without overwhelming or scaring yourself. Do you remember the moment you first held a puppy or kitten and how you felt pure love throughout your entire being? Close your eyes and feel that moment. If you don’t remember, spend the afternoon in a pet store. Feeling is about leaving your mind chatter and thoughts to become aware of your current physical and emotional sensations in this one moment in time. That is the key, deciding and then placing your entire focus on this one moment in time and nothing else. It may seem impossible to slow down and come back to the now. Don’t worry if you don’t succeed at first. Relax, and keep reminding yourself to focus on what you are doing in this one moment. It will get easier with practice. Once you have tried a few of the following scenarios, you will be able to invent your own. Have fun feeling the now while exploring a new world of sensations. Run warm water over your hands. Close your eyes and breathe deeply. What does the sensation on your skin feel like? Let the feeling ripple through your entire being. Stand quietly and experience this sensation for five minutes. You will be surprised how strongly you feel it. Feel the warm sunshine on your face, or the frosty air that makes your nose sniffle. Notice how it makes your skin feel. Face the wind; close your eyes and breathe it in. Then come inside, close your eyes, breathe in deeply, and feel. Each day you can practice feeling different weather. Shopping is a good one to feel. Become aware of your current physical and emotional sensations in this one moment in time. Keep bringing yourself back to this awareness. You might become agitated when you can’t find a parking space, shiver as the cold freezer air blasts you, sing along to the store music, or race up and down the aisles because you are in a hurry. It does not matter what you do or feel as long as you are feeling the experience you are having in this one moment in time. Once you can spend time in now moments at will, you will feel yourself starting to wake-up. You might visit the park or zoo or for the entire afternoon, go window shopping at all your favorite stores (even if your favorite is a toy store), take a weekend away, watch a chic flick, or anything that makes you smile at the mere thought of doing it. Beginning with 30 minutes a day, over the next month gradually increase the time you spend feeling now moments during your everyday life. The point is to lengthen the time you feel comfortable spending in now moments until it becomes automatic. Now that you have re-experienced feeling, your perceptions may have changed. You will find it easier to give yourself a lift when stressed because you know feeling without judgment is enjoyable. As you expand your repertoire of experiences and feelings, you’ll notice it is rather difficult to compare them as you used to. They’re not connected, nor opposing each other. Experiences are merely things to feel for themselves, and have nothing to do with anything outside of the event. It may be a scary prospect to allow painful emotions to surface. You have avoided these emotions for a long time. The most difficult part is the fear of feeling them. After doing a few emotional releases, you will relax as your fear of emotions subsides. You’ll find the emotions are not so frightening, especially since you can permanently remove any of them whenever you like. As strange as it sounds, you will get comfortable with emotions and feeling them. Instead of being scared when they surface, you’ll smile and recognize the opportunity to finish with another one. Because feeling is the key to access your subconscious mind, the more time you spend opening to feel, the easier it will be to use the Greene’s Release Technique. This wonderfully simplistic activity is a non-threatening way to open your heart so you can feel pure love. It also feels great, lowers blood pressure and stress hormones, as well as increasing your serotonin levels (the happiness hormone used in anti-depressant medications). Look for one that has puppies, kittens, or rabbits that you can physically pick up and hold. out of the car start taking some deep relaxing breaths in and out. Continue with this breathing as you walk into the pet store so you are nice and relaxed. Silence your mind chatter if necessary before you enter. at all the cute babies. Are the puppies looking up at you with their big eyes, or kittens purring and just waiting for you to pick them up? Take a slow walk as you look at each one. Notice what you feel and how your love energy is starting to kick in. Feel how much you adore them. cute they are. Walk around slowly and notice every single animal. Which one caught your attention? Which one are you wanting to cuddle? attendant to get out your favorite baby for you to hold. to your chest and take a refreshing breathe in and then out. Feel the love in your heart. Look down at this beautiful creature and let yourself open to love it freely and completely. Close your eyes, keep breathing and feel the warmth in your chest as it gets stronger and stronger, until it overwhelms you with pure love. 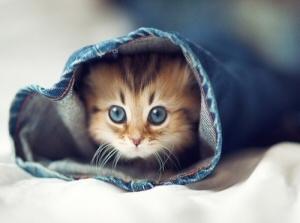 adorable baby for at least 5 minutes. Stand with your eyes closed and just feel and enjoy the experience. you may not feel much. That’s okay. Your goal is to allow yourself to love this creature freely without restriction. When you can do that, just feel the warmth of your love inside you and breathe into it and let it grow. back to your car close your eyes, relax your body then take a deep breath in and think of the love that you just felt. Let it come back and fill you again. Breath into it and let it expand with each breath. Sit there with your eyes closed and just feel for 5 minutes. store again this week and do exactly the same thing. Relax as you walk into the store. Walk around delighting at all the babies and feel how cute they are. Pick the one that catches your attention on that particular day. Don’t pick the same animal twice. And spend at least 5 minutes holding and loving this creature, then feel it again when you get back to your car. go to the store yet again this week. Not a week later when the memory of what you felt has diminished. Repeat the full exercise. You will notice as soon as you think about going to the pet store you will feel excited. That is because you know that you are going to feel love energy. As you become more relaxed and comfortable opening to love and feel the love within you breathe into it more and more until it fills you completely and is almost overwhelming. By the end of your third trip you may be comfortably opening and feeling pure love energy. Or you may need 5 or 6 trips to get comfortable. Keep going until you feel it freely. Then visit at least once a week. And remember you can go to the pet store anytime for a top up! The ability to quiet your mind at will is essential when using the Greene’s Release Technique. Appreciating your mind’s natural protection mechanism will help you realize why certain seemingly uncontrollable thoughts and actions occur. The dog scenario is a good example. Say a dog bit you when you were a child. Your wonderful mind decided it needed to do something to keep you safe, so you would never have that terrifying experience again. Whenever a situation arises which could involve dogs or risk your safety (according to your overprotective mind), it screams out as loudly as it can. Don’t go for a walk without a big stick! There is a dog ahead, so cross the street! Ask Johnny to play at your house because there’s a big dog at his! Then your mind used the adrenaline of fear to alert you to possible danger, so you not only hear the warnings, but feel them too. This example is a true story, by the way. TYour mind chatter, while being unrealistic for this particular situation, is your mind’s misguided way of doing all it can to protect you from physical and emotional hurt because it cares. The Greene’s Release workbooks teach you how to follow individual thoughts to their base, then neutralize them so they are permanently silenced. In the meantime, understanding that all fearful mind chatter is your mind’s misguided attempt to keep you safe from possible physical and emotional pain lets you step out of its control and realize that you do not have to believe it. You can silence your mind chatter at any time! Whenever you are about to shut down mind chatter about topics you need to deal with at some point, tell your mind you do hear it. Get a notebook and write it down so you can address it when the time is right. about how this workbook will resolve your problems (to trigger your objections). 1.	fearful statements such as, “It won’t work; nothing will work,” or relive painful events. Thank your mind for its warning, remember it is trying to protect you. Tell it you will take care of this topic when it’s the right time, and then firmly tell it to silence. you absolutely refuse to listen to it, say the six times table back and forth three times (1×6=6, 2×6=12, 3×6=18 etc.) to activate your logical mind. Mind chatter can’t operate while you are thinking about logical things. all-time favorite song ready to listen and dance to as soon as you have silenced the chatter. Spend some time really enjoying this song. Being able to relax at will makes it easier to use the Greene’s Release Technique. 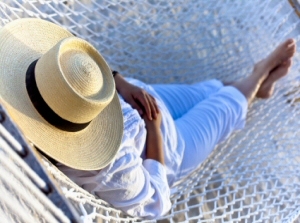 Did you know that deliberate relaxation changes your body’s chemical make up? It’s true. Chemicals that are triggered by repeated stress overload and damage your body. However, just a few minutes of deliberate relaxation override this physiological damage by bringing your body chemistry back to neutral. Focus your attention on your breath – if needbe saying the words “breathe in” and “breathe out” in your mind. Sitting quietly to relax may be an entirely new activity and sensation for you, making it hard to go beyond one minute at first. That is fine. Whenever you lose focus, bring yourself back to breathe again. Just keep practicing every single day and soon it will be something you look forward to. This amazing little story lets you feel the sensations of a smile as it travels throughout your body. When you are able to experience the pure magic of this story, then you are ready do the Greene’s Release Technique.